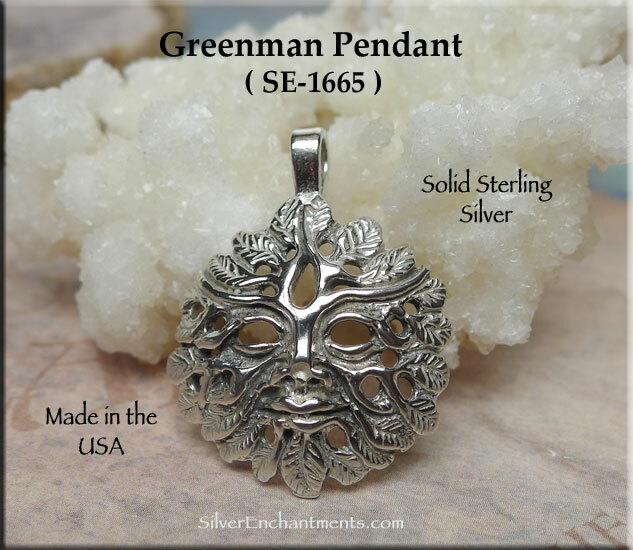 A Sterling Silver Greenman for your Favorite Necklace Chain or Beaded Jewelry Design. 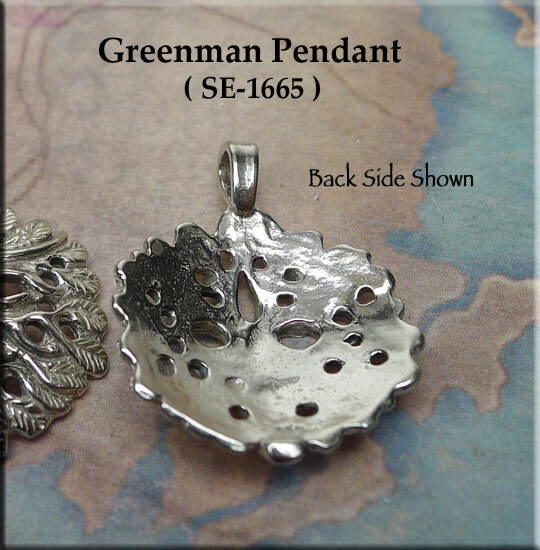 These Bailed Greenman Pendants are very nicely detailed and convex in shape. 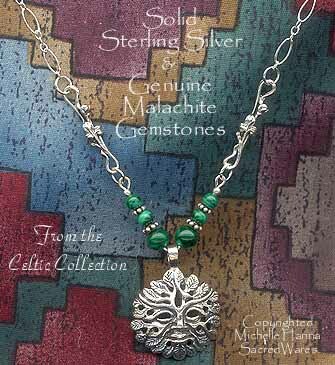 Cast in Solid .925 Sterling Silver by us here in the United States, these Greenmen measure approximately 30mm tall x 24mm wide. His face stares down at us from the roofs and pillars of our great cathedrals and churches. He is found all over England, some parts of Wales and Scotland and a few rare places in Ireland. His roots may go back to the shadow hunters who painted the caves of Lascaux and Altimira and may climb through history through Robin Hood and the Morris Dances of Old England to be chiseled in wood and stone even to this day by men and women who no longer know his story but sense that something old and strong and tremendously important lies behind his leafy mask. He is the Green Man, Jack in the Green, the Old Man of the Woods, Green George and many other things to many other people. 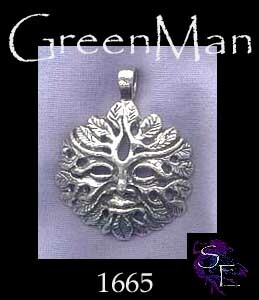 > You can Customize this item into a Greenman Necklace -- Choose from : Pendant Only, Pendant on a Plain Black 24-inch Waxed Cotton Cord, or Pendant on a Sterling Silver Necklace Chain in 16-inch or 18-inch length (please see last picture for current chain style). 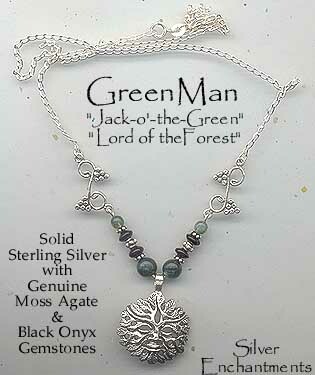 When selecting on SS Chain, your Sterling Silver Greenman Necklace will come Boxed.